Who is Jesus? Jesus is Lord! One of the greatest things about Jesus is that He is the Lord of all Creation. Whether people choose to believe in Him or not, He is still Lord. Everyone wants to live a good life while here on Earth but many don’t know that Jesus is the Way to live a good and blessed life. He makes life worth living and He fills our lives purpose and meaning. Jesus adds richness to our lives and gives us hope. Whether people choose to pray to Him or not, He is still the one who provides all ours needs Philippians 4:19 But my God shall supply all your need according to his riches in glory by Christ Jesus. Jesus is the Lord of all Creation and everyone has go through Jesus to get to Heaven. Jesus is the door through which everyone must enter. He is only way to God and to Heaven. There are Billions how follow Him and we all must give in account to God with what we did with the precious gift He gave us, He only Begotten Son. What makes this so profound is that Jesus shows His disciples a glimpse of His Glory. Jesus came to Earth the first time in very humble circumstances and that is because He came for first to the suffering Savior prophesied in Isaiah 53, the Lamb of God. When Jesus comes the second time, He shall come in power and great glory. This was only and glimpse of Jesus’ Glory. No two prophets are more revered in Old Testament scripture than Moses and Elijah. These two great Prophets appeared with Jesus and they were talking with Jesus. This lets us know that these two prophets were sent by God to appear with Jesus to confirm that Jesus is the Messiah, the son of God. God wanted the disciples to witness this great event so they could record this as a testimony in the Gospels of Jesus Christ, to serve a powerful proof that Jesus is the Son of God. Notice 3 disciples saw this event and are witnesses to it being true. Peter filled with elation to see Moses and Elijah appearing with Jesus, wanted to build tabernacle for all 3 of them. God interrupted Peter’s nonsensical idea, and God appeared in a cloud and said “This is my beloved Son, in whom I am well pleased; hear ye him.” God wanted to correct them and let them know that Jesus is His Son, the Messiah. It was kind of Peter to want to honor Moses and Elijah but God gave them this vision for the purpose of letting us all know that Jesus is Lord and Jesus is the King of Glory! After the vision Jesus charged His disciple not to tell anyone about this until after He was risen from the dead. That is how powerful this vision was and a key to the witness of Jesus as Messiah. The disciples asked Jesus, why do the scribes say Elijah shall come first? 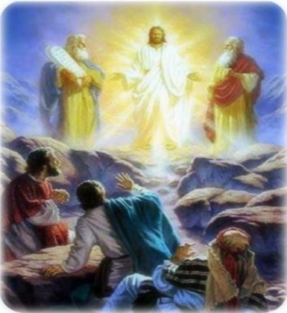 Jesus’ response in Matthew 17: 11 “Elias truly shall first come, and restore all things.” He said this to let us know that Elijah shall literally(truly) come first and restore all things and Jesus was speaking of His Seconding coming when He comes to set up His Kingdom here on Earth. However He also tells them that Elijah has already come and they knew him not, Jesus was speaking of the Prophet John the Baptist. Jesus was letting us know that John the Baptist operated in the spirit and power of Elijah as the forerunner for His first coming. Matthew 17:12 But I say unto you, That Elias is come already, and they knew him not, but have done unto him whatsoever they listed. Likewise shall also the Son of man suffer of them. 13 Then the disciples understood that he spake unto them of John the Baptist. 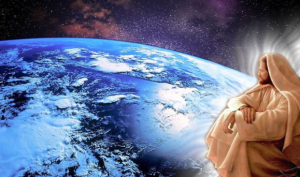 Many people do not serve, acknowledge or believe in Jesus but Jesus has all authority and power in Heaven and in Earth. Jesus is Lord! Jesus is the King of Glory!